An online one-stop-shop for education, health and social care information for children with Special Education Needs is being promoted at roadshows across Somerset. 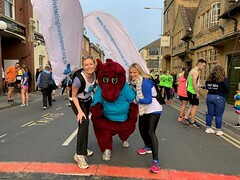 The events in Frome, Bridgwater, Compton Dundon and Wincanton are highlighting the Local Offer website published by Somerset County Council and the Somerset Clinical Commissioning Group. It contains clear information about the provision available across education, health and social care and details about how children, young people and their families can access it. It’s for anyone looking for advice guidance about services and is also essential for brokers who advise people on services and service providers. The Local Offer Roadshow are giving everyone a chance to find out what it can do for them. There will be information stands which will show local families what’s on offer as well as the various ways to feedback on local services and help shape what’s available in the future. Frome: Friday, 8 February, 10am-1pm. The Assembly Rooms, Christchurch Street West. Bridgwater: Tuesday 5 February, 10am-1pm. Victoria Park Community Centre, Victoria Park Drive. Compton Dundon: Monday, 11 February, 10am-1pm. The Meadway Hall, Ham Lane. Wincanton: Friday 15 February, 10-1pm, Wincanton War Memorial Hall. Somerset County Council’s Lead Member for Children and Families, Councillor Frances Nicholson said: “The Roadshows are a great opportunity to understand what the Local Offer is all about and how it can help children, young people and families access the help and support they need, as well as letting us know how we can improve what we do in the Local Area.